Many of you participated in “The Bible in 90 Days” challenge this past fall. Are you looking for a new study to help you dig even deeper into your Bibles? We have several new options in the Resource Center…stop in to preview or call us to reserve any of the resources listed below (office@shenango.org or 724-528-1610). 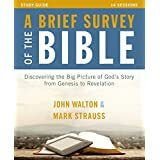 In this DVD-based study, Bible professors John Walton and Mark Strauss give you the background you need to successfully understand even the difficult parts of the Word of God. They provide an overview of the Bible’s key themes, show what the teachings meant to the people at the time, and explain how those teachings apply to your life today. By the end, you will have a greater understanding of Scripture, know how all the books work together, and understand what God has done to make a way for you to come to him. 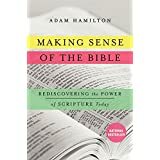 In Making Sense of the Bible, Adam Hamilton invites us into an honest conversation about the Bible. The book begins with foundational questions such as, How and when was the Bible written? Who decided which books made it into the scriptures and why? How literally must we read it? And, Is the Bible ever wrong? From there, Hamilton considers the real questions people frequently ask that continue to divide Christians and denominations alike. Coming Soon to the Resource Center. 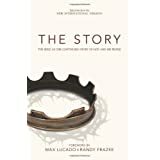 The greatest story ever told – is more than just a cliche. God goes to great lengths to rescue lost and hurting people. That is what The Story is all about: the story of the Bible, God’s great love affair with humanity. Condensed into 31 accessible chapters, The Story sweeps you into the unfolding progression of Bible characters and events from Genesis to Revelation. Using the clear, accessible text of the NIV Bible, it allows the stories, poems, and teachings of the Bible to read like a novel. This kit contains books and DVDs for every age group in your congregation, as well as worship resources. This Covenant experience will guide participants in a comprehensive, in-depth study of the Bible over twenty-four weeks. 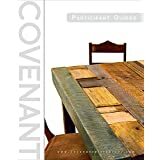 Unlike the learning participants may have experienced in other groups, this in-depth study of the whole Bible emphasizes the biblical concept of covenant as a unifying pattern through all the books in the Old and New Testaments. It underscores the unique relationship that God chooses to have with us as God’s people. This relationship is grounded in the faithfulness of God’s love and on our ongoing commitment to stay in love with God while we share signs of that love with others. In a style all his own, Dave Stotts—host and editor of Drive Thru History—speeds through the ancient world of the Bible, delivering a fast-paced encounter with the people, places, and events that have shaped our world and the Christian faith. This series includes on-location explorations, plus loads of animations and narration that’s definitely ‘outside the classroom.’ You will experience a visually exciting journey through the land of the Bible, revealing the history and culture behind the stories of Scripture. Great for Youth Groups! The archaeological discoveries revealed in this 13 volume series provide even more reason to believe the Bible. 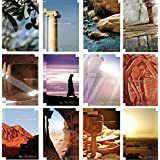 More importantly, these videos, filmed in Israel and the Middle East where Bible events actually took place, weaves together historical, cultural, and geographical contexts to reveal keen insights into how people in biblical times understood God and Jesus teaching. Teacher and historian Ray Vander Laan reveals keen insights into the Scriptures significance for believers today.